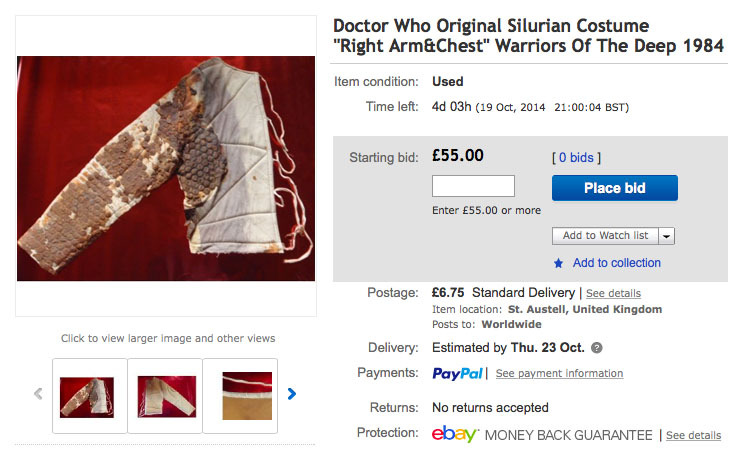 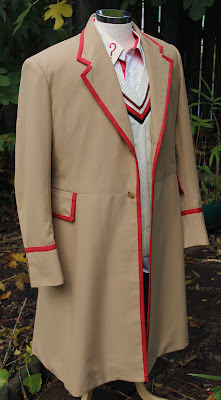 You are bidding on part of a original Doctor Who Silurian costume ie the back part of the right leg but not the front part of the costume.This was part of the Silurian body suit worn on-screen by Norman Comer playing the lead role of Ichtar in the 1984 Doctor Who story Warriors Of The Deep. 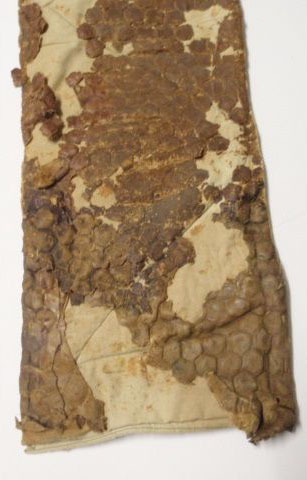 This Silurian back part of the right leg is part of the Silurian body suit sold in Bonhams Doctor Who sale in 1991.The costume had the name of the actor "Norman Comer" written in which is the name of the leader ichta. 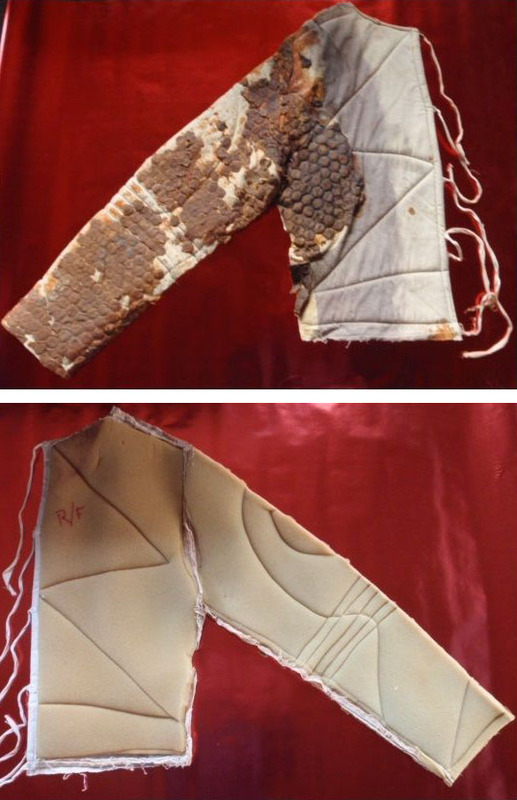 Leg measures 42 inches long. 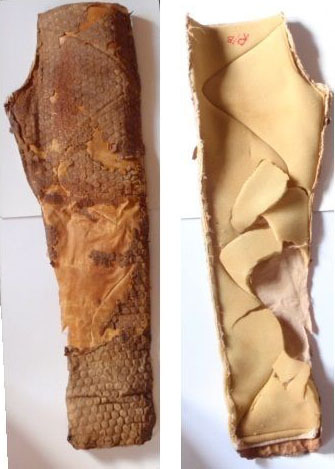 This is an amazing piece and is in its original condition,the leg has lost some reptilian latex skin. 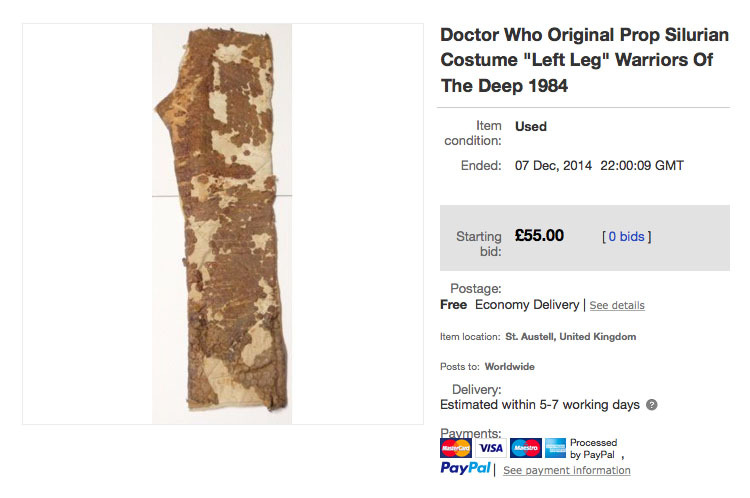 You are bidding on part of a original Doctor Who Silurian costume ie the front part of the left leg,but not the back part of the costume.This was part of the Silurian body suit worn on-screen by Norman Comer playing the lead role of Ichtar in the 1984 Doctor Who story Warriors Of The Deep. 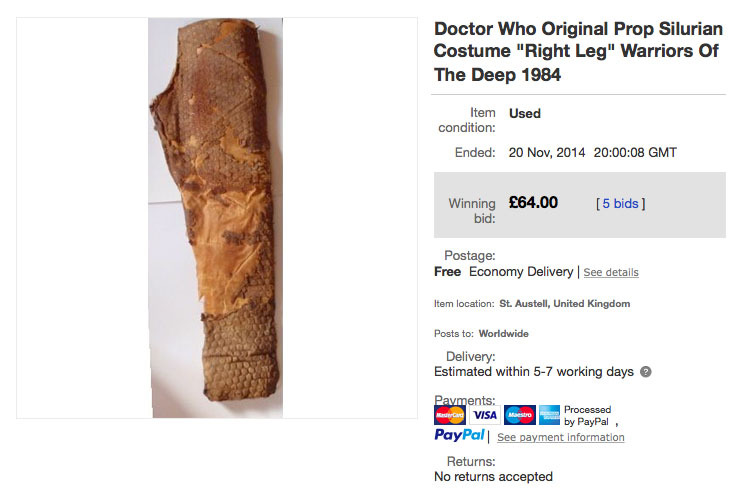 This Silurian front part of the left leg is part of the Silurian body suit sold in Bonhams Doctor Who sale in 1991.The costume had the name of the actor "Norman Comer" written in which is the name of the leader ichta. 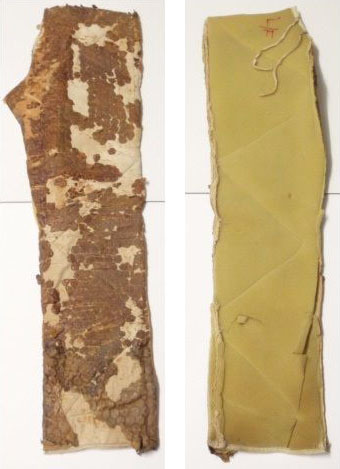 Leg measures 41 inches long.